China’s lush hunting grounds were once a prime destination for wealthy sporstmen, but they have been closed to the international community since 2006. but, as Daisy Zhong reports, hunters and conservationists have now been forced into a marriage of convenience as both seek to prove that a return to licensed game shoots in China would help animal populations to survive. [dropcap size=small]T[/dropcap]rophy hunter Dr. Larry Rudolph is a lucky man: he has hunted legally in China twice. 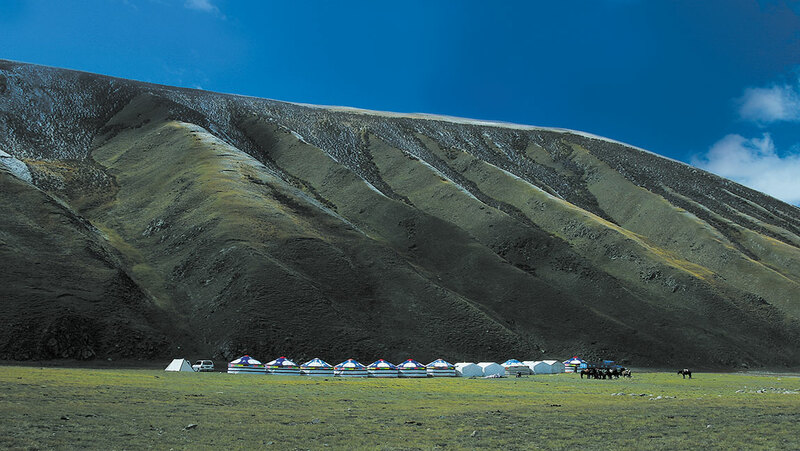 In 1998, he bagged a Tibetan blue sheep near Qinghai Lake in Qinghai province. 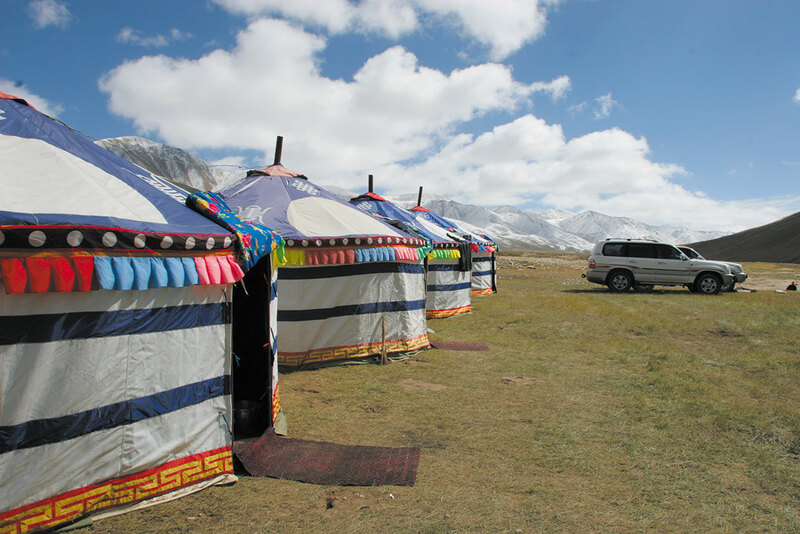 In the autumn of 2006, he got a Helan Shan blue sheep in Inner Mongolia. In 2006, China suspended hunting by foreigners, in the wake of a widely publicised outcry about an auction of the international hunting quota by the State Forestry Administration (SFA). 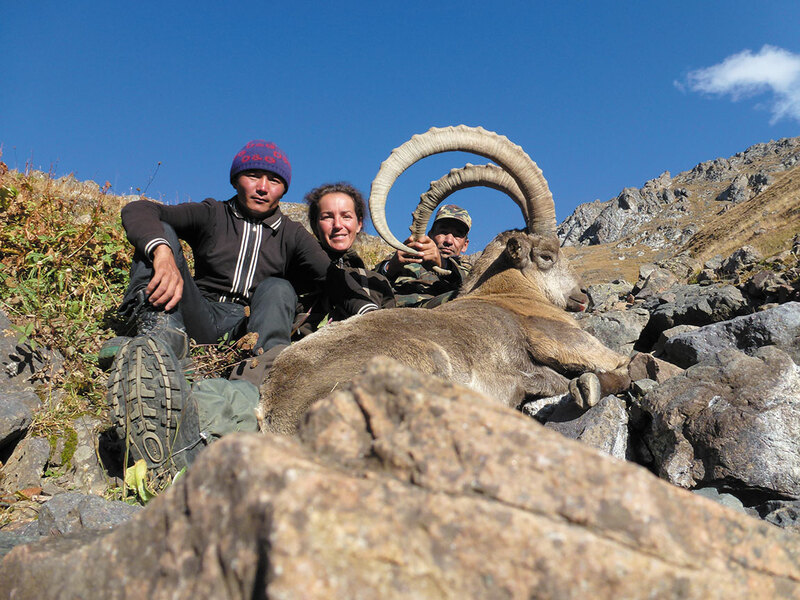 The situation appeared to be changing in August 2011, when an SFA expert group approved an application by seven US citizens for a “trophy hunt” of blue sheep and gazelles in northwest China. However, it withdrew permission the following month, after letters from more than 70 animal and environmental protection groups that expressed their “great indignation”. In an opinion poll on Sohu.com, 86% of respondents opposed the re-start of international hunting in China, while only 13.64% of them supported it because it reduced poaching. Since 1988, China’s Wildlife Protection Law has prohibited the hunting of protected species and provided for the confiscation of hunting rifles from local hunters. For decades, Chinese people have been told that killing any form of wildlife was an appalling act that undermined measures taken by Beijing to encourage animal conservation. Yet the recent debate about international hunting as a sport, while emotional and irrational at times, has led to recognition that it might be possible to reconcile hunting and conservation in order to achieve a single goal – sustainable wildlife management that could revolutionise animal protection in China. A new lifestyle, in which hunting was a “sport” for the wealthy, emerged in the Western world at the end of the 19th century, when game became more of a luxury than a necessity. Many rich and famous people, such as American writer Ernest Hemingway and former President Theodore Roosevelt, became enthusiasts. “Wild territories are reserved for hunting, not for tourists,” says Marie-Pierre Zollikofer, a big game hunter for five years. Along with adventure comes the need for physical ability, professional skill, and deep pockets, for a rare animal commands a steep price. 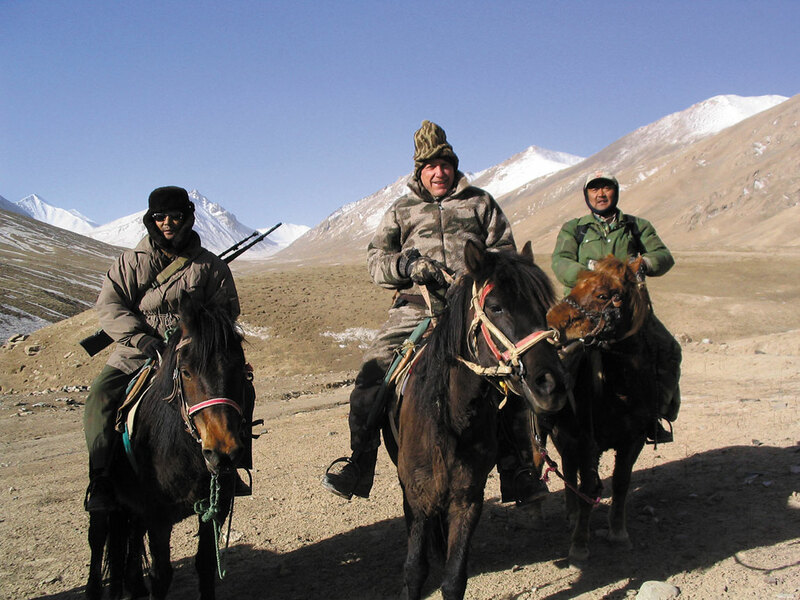 For example it costs US$60,000 for permission to hunt a Marco Polo sheep at the border of Xinjiang Province and Tajikistan. Other costs include transportation, guides, camping, and hunting equipment – a refined shotgun like one made by Purdy or Beretta costs more than 20,000 pounds. For animal conservation specialists modern, high-end hunting is far more than a fashionable sport. To them, it is also an important part of wildlife management and preservation around the world. “In conservation, we seek to conserve not just individuals, but entire systems, which consist of individuals, but also at lower levels of organization, of genes, and at higher levels of organization, of populations, communities, and ecosystems. “A wildlife population with a large natural habitat can usually thrive in the face of a sustainable level of human off-take”, says Dr. Richard B Harris, who dedicated himself to research into this subject in Northwest China in 1988, and who is also the author of Wildlife Conservation in China. “A hunter can legitimately claim to be helping to conserve an animal population – despite killing individual members of it – if his or her actions produce incentives that result in the whole population being provided with better protection”. Official statistics show that in 2006, 12.5 million US residents above 16 years old participated in legal, licensed hunting and spent US$22.9 billion on the sport, more than half of it on big-game hunting. Add fishing and wildlife watching, and the FWS concluded that the nation’s enthusiasts spent a total of US$230 billion on wildlife-related recreation, equal to 1% of GDP. The hunting community also directly funds the costs of game management and wildlife protection, according to Rudolph, who is now the Chief Communication Officer of Arizona-based Safari Club International (SCI).He says the SCI Foundation, an associated charity organisation devoted to animal protection, has funded conservation programs for species, such as the snow leopard, Marco Polo sheep and the woodland caribou. For instance, the Torghar project in Pakistan helped to control the illegal hunting of the endangered Suleiman Markhor and Afghan Urial goat species during the 1990s. In collaboration with an NGO called the Society for Torghar Environmental Protection, the Pakistan government decided to allow three males per year to be hunted, using the fees paid for doing this to help the local population and convince them to protect the Markhors. With only 40 animals trophy hunted in 12 years, the project was able to enforce a complete ban on unauthorised hunting, while the population of both species grew twenty-fold. He gives an example of how elephant poaching to supply the ivory trade increased considerably after Kenya decided to ban hunting in 1977. Between 1979 and 1989, the number of elephants in the country shrank from 130,000 to 17,000. “It is better to give a reasonable number of official licences and be present to protect the hunting areas against poachers,” says Favre. The Convention on International Trade in Endangered Species of Wild Fauna and Flora (CITES) is based on a similar approach. First promulgated in 1973, this treaty aims to regulate trade in wild animals and plants in a way that does not threaten their survival. More than 200 countries have signed it so far. Wan Ziming, the CITES coordinator in China and Director of the Enforcement and Training Division in the Endangered Species Import and Export Administrative Office of the State Forestry Administration, highlights the convention’s socio-economic background. Having dedicated more than two decades to conserving China’s wildlife, he says, “I have witnessed China’s transformation from impoverishment to a moderately well-off society. I fully understand the eagerness of poor countries to improve their economy and the wishes of rich countries to improve the ecosystem. That is precisely the difficulty for wildlife conservation from a global perspective: the poor tend to use resources in an irresponsible manner, whereas the rich emphasise not killing for the sake of a better quality of life. Open international hunting is a way to balance the alleviation of poverty with the demands of wildlife hunters. Wan believes conservation and utilisation are not contradictory; and that such a balance can be achieved within a reasonable and sustainable wildlife management policy…Read more in Quintessentially Asia.